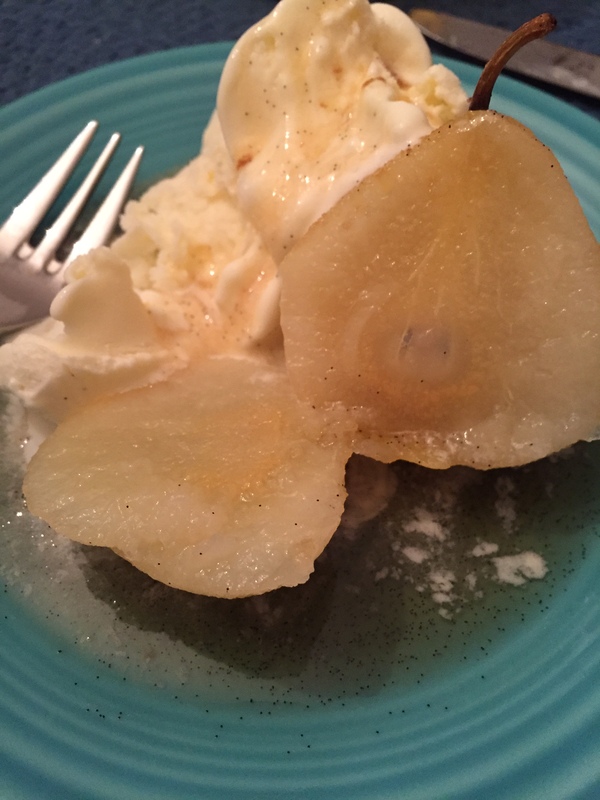 Pears are abundant in the fall at almost every market. 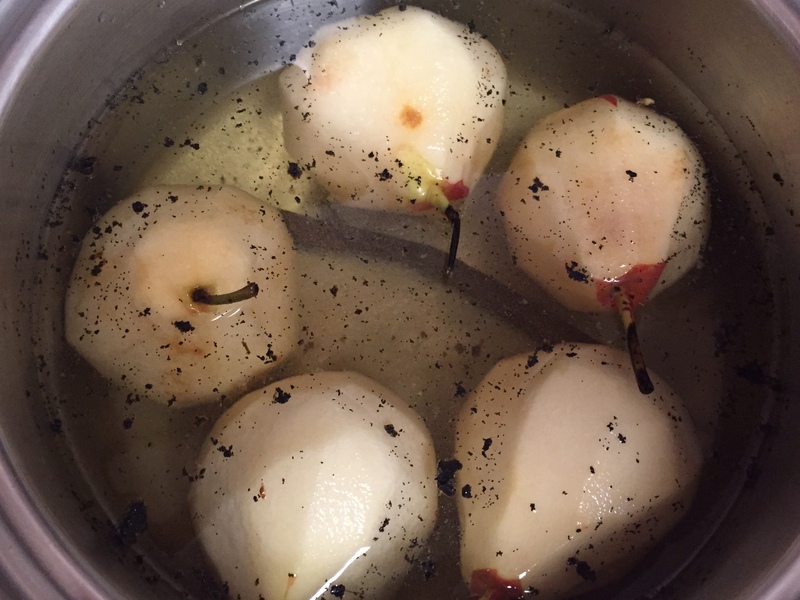 If you are lucky, you can find the small Forelle pears that I use in this recipe. 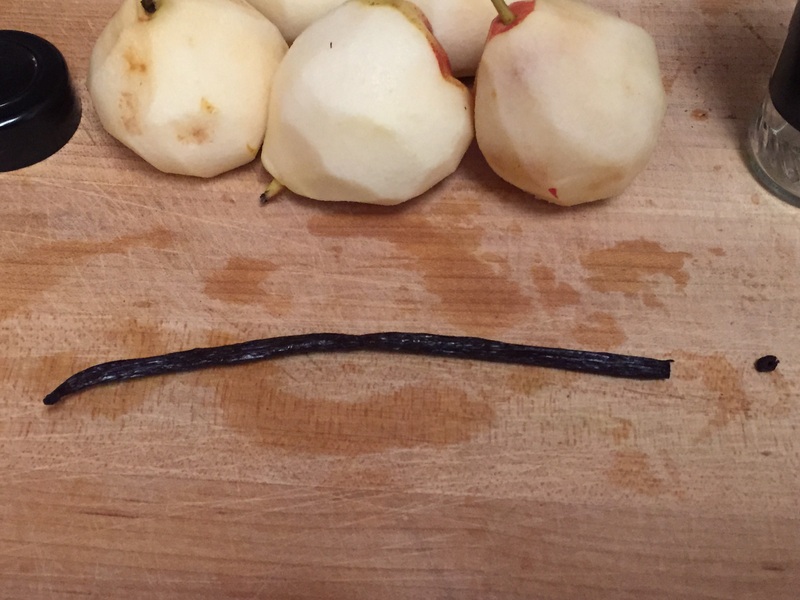 What they lack in size they make up for with flavor! 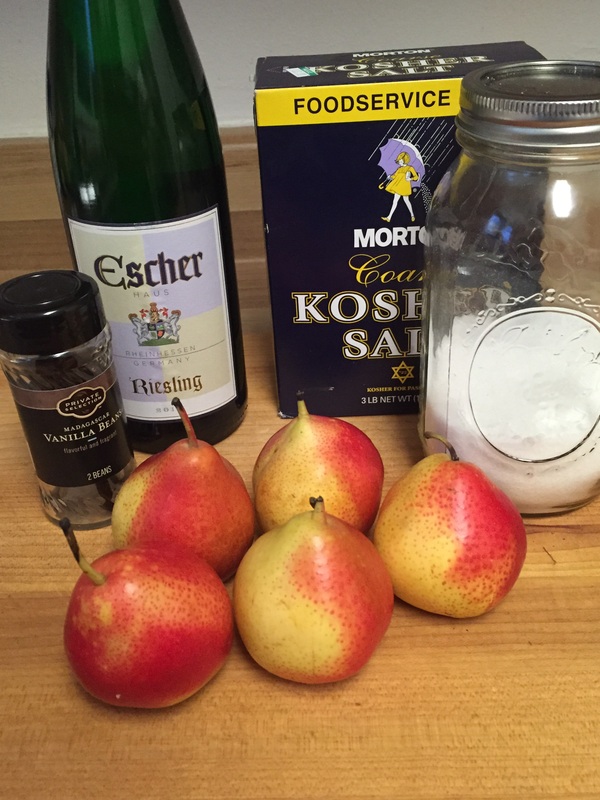 You could use other sweet pears for this recipe, just double the Riesling and add 5-10 minutes to the cooking time, depending on size. 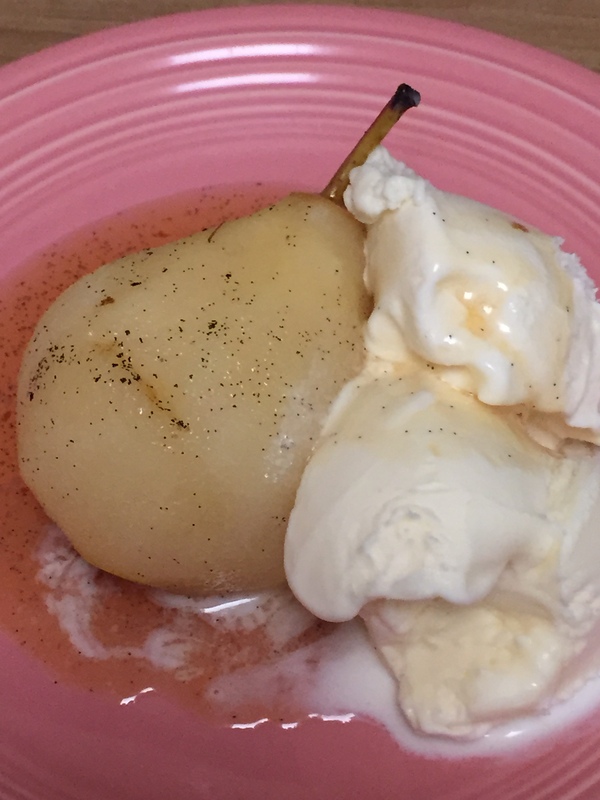 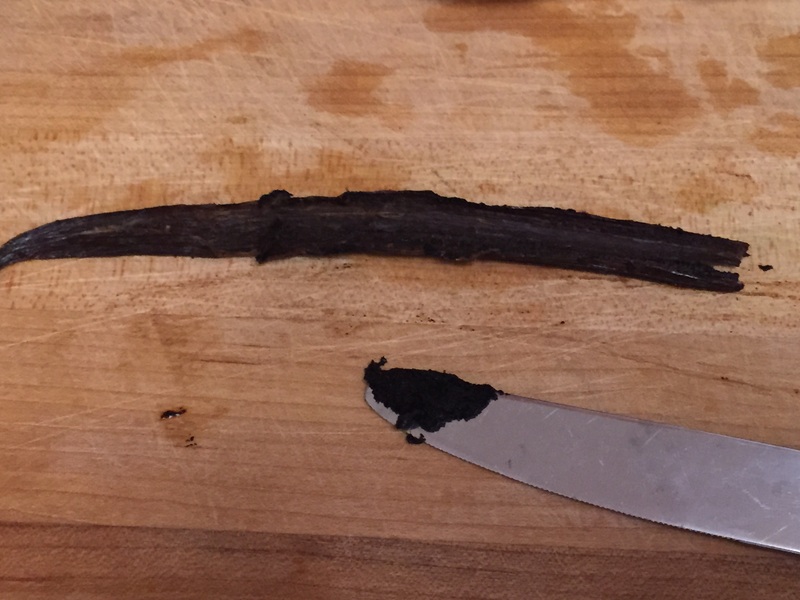 Peel the pears and slice the vanilla bean down the center, scraping out the seeds inside. 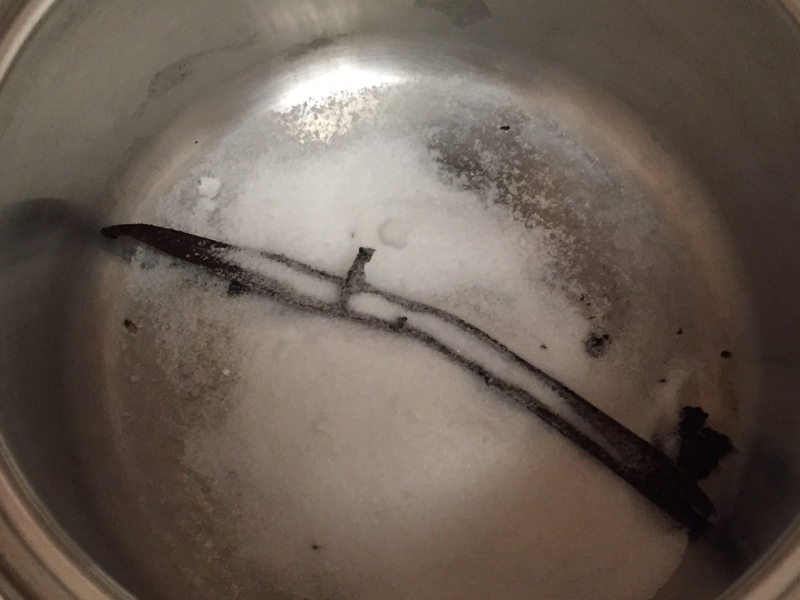 Add the sugar, vanilla seeds and pod, pears, a pinch of salt and Riesling to a saucepan. 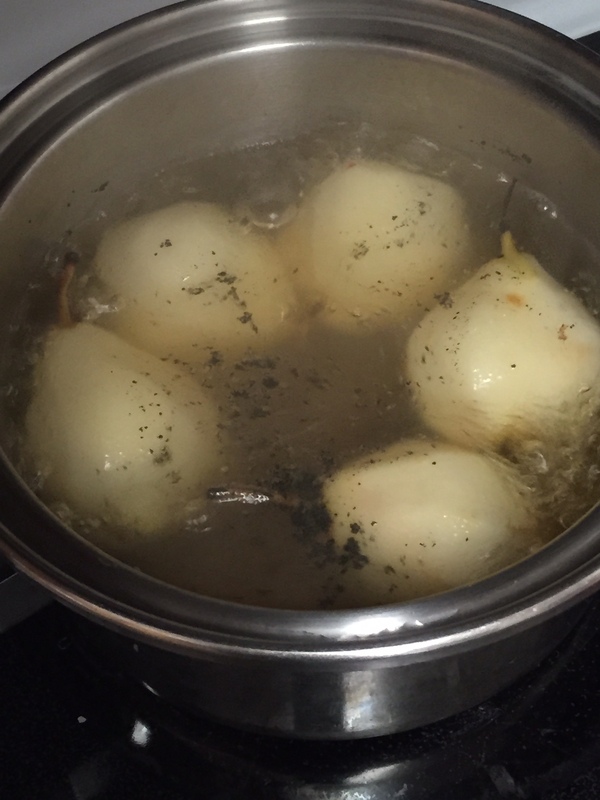 Simmer over medium heat for 10 minutes until soft, but not falling apart. 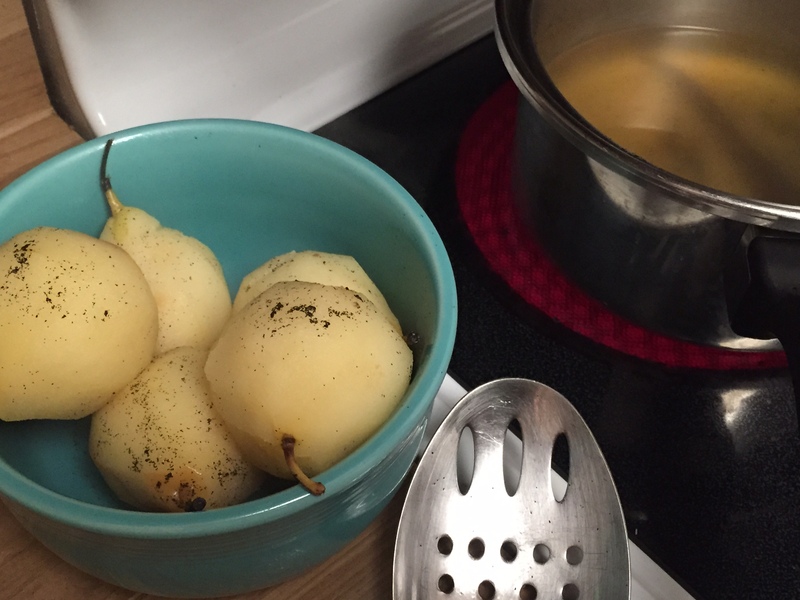 Remove the pears from the saucepan. 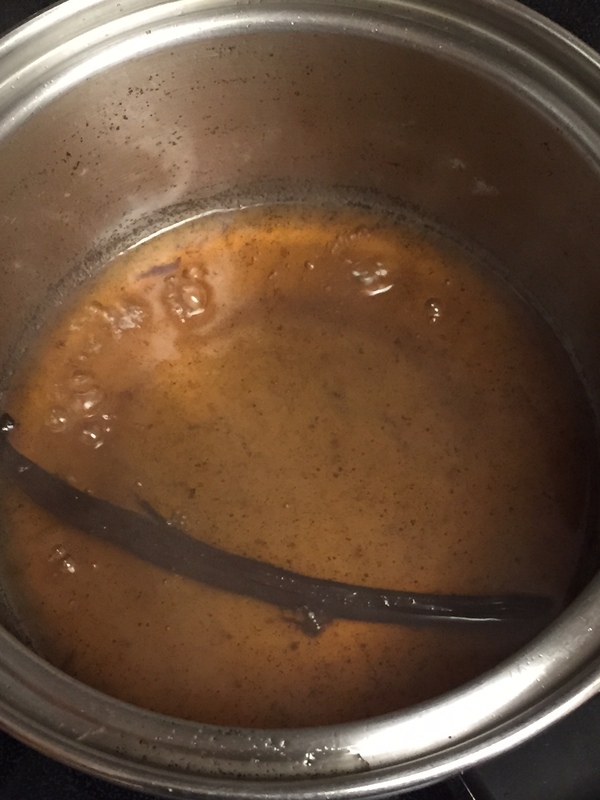 Continue to simmer the liquid until it has reduced by 3/4 into a sweet syrup that coats the back of a spoon. 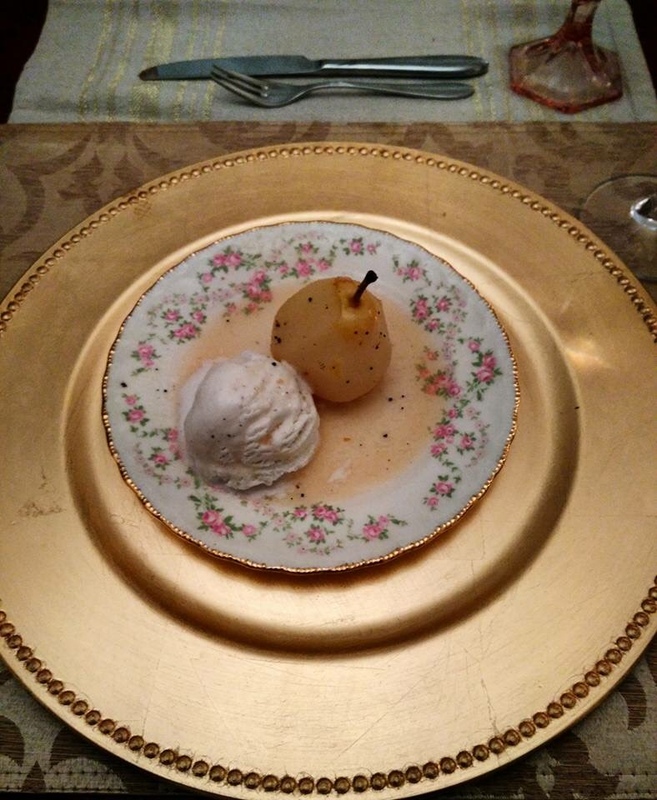 I recommend serving with vanilla ice cream.